Marrugeku launched its new Emerging Artist Program this year aimed at providing training for 15 to 23 year old senior students and recent school leavers of the Kimberley who have demonstrated enthusiasm and potential in dance and music and who are interested in a career in the Performing Arts. The emerging artists will be introduced to new process and cultural pathways to the creation of contemporary dance and music by experienced Marrugeku dancers, choreographers and musicians and guest local artists. In late July Marrugeku’s co-artistic director Dalisa Pigram programmed and facilitated the workshops along with guest choreographers Ses Bero (Broome) and Josh Thompson (Sydney) in consultation with both senior high school’s dance programs in Broome. With focus on dance for this introductory stage of the program, a series of in-school workshops were offered and run by guest artist Josh Thomson with students ranging in age from 12–17 (Year 7–12) to give Broome youth further opportunity to broaden their experience of what contemporary dance is and can offer. A core group of 7 emerging artists went on to explore with Josh, Ses and Dalisa fundamental aspects of contemporary forms of dance. 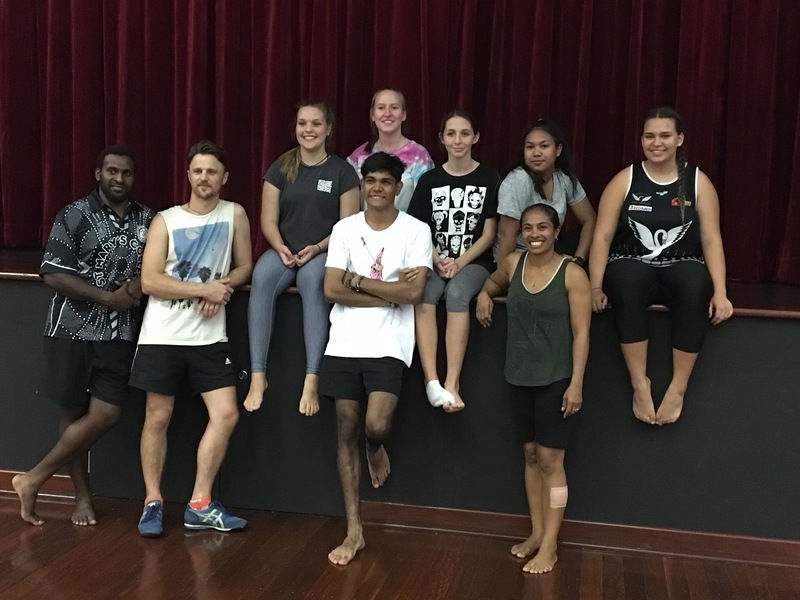 Emerging artists were also introduced to some of the culturally informed processes that Marrugeku utilise when making intercultural work in a range of movement activities held at the Broome Civic Centre. Marrugeku will continue to work with the senior high schools, and the cultural and arts community to identify individuals and offer them an opportunity to participate in our Emerging Artist program of after school and holiday masterclasses each year with 2 periods planned for 2018.